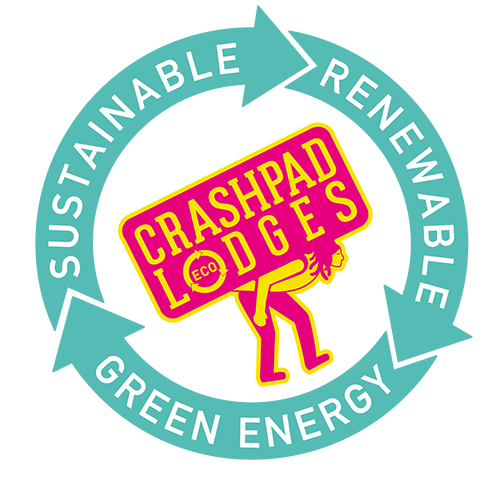 Every January and February we close Crashpad Lodges. Not because of the cold weather or because guests don’t want to stay in the depth of winter. And not because we go on holiday. For 2 months at the start of every year we do a health check on the Lodges and do improvements that we have planned and saved up for from the previous year takings. As I write we are almost finished ‘tending to the roots’ for the up and coming guests of 2019. ‘tending to the roots’ meaning we are working on making sure that the fabrication and the foundations of the lodges are in tip top condition by getting our hands dirty and doing the work that actually no-one can see. Relaxing by the beach, a cocktail by the pool, room service, it’s the time of year to book your summer holiday. But what if this year you were to do it different. What if your holiday didn’t involve a plane but a car trip to North Wales. North Wales vs the sunny beaches of Kefalonia?! I know it sounds silly but hear me out on this one.